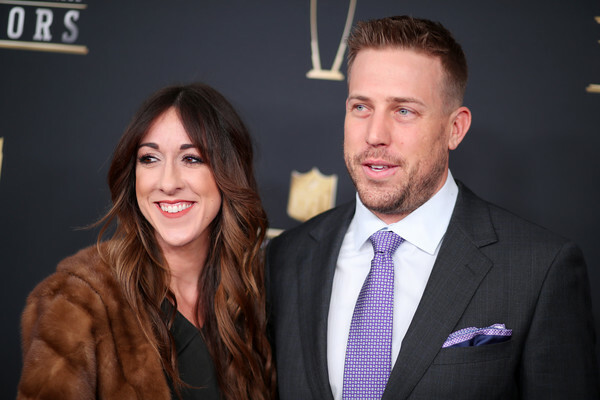 Case Keenum Stats, Wife, Salary, Was He Concussed, What Really Happened? Home Sports Case Keenum Stats, Wife, Salary, Was He Concussed, What Really Happened? Being on the pitch for football players is not usually all fun as we might anticipate as they are prone to suffer injuries which could be detrimental to their health. Quarterback Case Keenum has had his fair share of injuries on the pitch but what drew much attention to his concussion story was the fact that he was left to continue in the game irrespective of his injury. Who kept him in the game? Why was there no action taken? Get answers to these questions and the whole details of Keenum’s concussion story as you continue reading. Keenum’s football career started during his high school days at Wylie High School in Abilene, Texas. During his high school football career, he is said to have passed for 6,783 yards and 48 touchdowns alongside 41 rushing touchdowns and 2,000 rushing yards. Kennum is also known to have led his high school team to win the Texas Class 3A Division I championship game in 2004. His college career statistics recorded passing yards of 19,217, 155 touchdowns in addition to 23 rushing touchdowns and 879 rushing yards. The quarterback who had a very successful college career, however, was not able to get drafted into the professional league after his graduation in 2012. He was then signed to the Houston Texans as a free agent and spent the entire 2012 season there before being claimed by the St Louis Rams when he was placed on waiver by his team. He played for the St Louis Rams for a couple of months in 2014 before being reclaimed by the Texans though he later moved again to the Rams who relocated to Los Angeles. Keenum played for the Minnesota Vikings in 2017 and in March 2018, he was signed by Denver Broncos. His NFL career so far records 46 passing touchdowns and 8771 passing yards alongside 3 rushing touchdowns and 323 rushing yards in a regular season. Case Keenum is currently signed to the Denver Broncos and his 2018 base salary is said to be $8,000,000, in addition to a signing bonus of $6,000,000 and a roster bonus of $4,000,000. His Concussion Story: What Really Happened? The quarterback player who in 2015, was signed to the St. Loius Rams, sustained an injury during a game against the Baltimore Ravens on 22nd November 2015 in which he collided with an opponent in addition to hitting his head on the floor which made him unstable for a moment. He was checked briefly by his trainer who gave his approval for him to continue to play. However, this turned out to be a wrong move as Keenum was not able to seal his team’s victory and his obvious symptoms of being concussed which were glaring dragged the NFL and his head coach into the spotlight for the wrong reasons. Before blames are apportioned let’s look at the NFL’s protocol for signs of a concussion. 2. Inability to stand up quickly after sustaining a hit on the head whether from colliding with another player or contact with the playing surface. 3. Inability to maintain stable body balance. 4. When the player shows a blank look. 5. Holding of the head after a collision with either hard surface or another player. 6. A sustained facial injury which is visible. Case Keenum was said to have exhibited most of the signs listed above which ranged from him clutching his head, inability to maintain body balance as he stumbled when he tried to get up after falling and he was also said to have a blank look on his face. With all these glaring signs, most people taught it was enough reason for the RAMS coach, Jeff Fisher and even the NFL officers to stop Keenum from playing or even run a concussion test on him on the sideline. In a press release after the match, Jeff Fisher explained that he had no idea that Keenum was concussed after his injury nor was he aware of the concussion protocol being conducted on him after the game. He further explained that he believed the head trainer who examined Keenum made the right decision after his brief examination of the player. The quarterback also revealed later on that he remembered the incident and though he felt a bit shaken after the injury, he felt very good and fit after he got on his feet. He was the one that assured the trainer that he was good to go but as he looks back now he felt he should have opted for the injury timeout as his final minute in the game only resulted in him playing poorly, hence, his team lost. Who Is Case Keenum’s Wife? The quarterback is happily married to his high school sweetheart Kimberly – he met her at a Christian Fellowship for athletes. They remained together since their high school days and even attended Houston college together. Their wedding was held in 2011 during their college days after Keenum’s spectacular proposal which he did on the 50-yard line of a football field that had candles around it. Kimberly is described as the typical wife of a footballer as she is always excited during his matches and Keenum even revealed to the Los Angeles Times that she was very excited to finally wear a football jersey with Keenum written on it. She is also popular for learning her husband’s playbook in order to understand his game better and help him prepare which makes her a very special fan of the quarterback.